One of the last of the real cowboys, Bud’s knowledge of horses and cattle is derived from a lifetime of experience. When he was only 13 years old, Bud took his first job as a cowboy and eventually put together his own ranch. From “outside” cowboy to “arena” cowboy was a natural transition as Bud always raised and rode good horses. Although full-time jobs kept Bud close to home throughout most of his rodeo career, he competed in as many nearby rodeos that he could get to. His main event was steer wrestling, but he was also able to throw a rope as quick and as far as any man. In his early forties, he joined NSPRA and traveled to as many approved rodeos that his job as Superintendent for Peabody Coal Co. would permit. 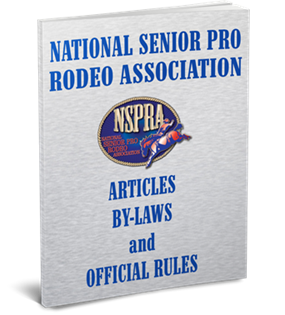 He served on the NSPRA Board as Steer Wrestling Director from 1988 to 1997. During the late 80’s through the late 90’s, Bud was a familiar figure at every NSPRA rodeo he could possibly attend. During this period, he won numerous championships and left a legacy as a director. His sense of humor, jokes and stories distinguished him as a rough cut cowboy poet. Everyone knew Bud. Although injuries have kept him out of the arena the past few years, Bud has maintained his involvement with NSPRA. He hauls wife, Teresa, wherever she wants to go and remains active in steer wrestling—hazing, coaching, and encouraging his bulldogger friends. If a job needs doing, he pitches in. His cowboy poet abilities have only been enhanced by age and he continues to entertain everyone he talks to with his sense of humor and quick wit.